Ted Arnbjorn Gardestad was a Swedish singer, songwriter, musician and actor known internationally as Ted. He was a big talent and made music with Benny Andersson and Bjorn Ulvaeus, better known as ABBA. But something strange happened to Ted. He toured extensively until his death by suicide in 1997.He jumped in front of a train. Why? In 1979, Ted and his brother Kenneth Gardestad played at Melodifestivalen, the competition to select Sweden`s entry for the Eurovision Song Contest, with the song «Satellit.» They won the competition which allowed them to represent Sweden at Eurovision held in Jerusalem. Today, it is the World Suicide Prevention Day (WSPD), which is an awareness day observed on 10 September every year, in order to provide worldwide commitment and action to prevent suicides, with various activities around the world since 2003. Suicide has a number of complex and interrelated and underlying contribution factors…. that can contribute to the feelings of pain and hopelessness. Having access to means to kill oneself – most typically firearms, medicines and poisons – is also a risk factor. An estimated one million people per year die by suicide or about one person in 10,000 (1,4% of all deaths), or «a death every 40 seconds or about 3,000 every day.» As of 2004, the number of people who die by suicide is expected to reach 1,5 million per year by 2020. Last year, artists in Sweden came together and sang Ted Gardestad`s populare songs. It was 20 years since Ted passed away. A man who became a noted star in Sweden in 1975. He was prominently featured in teen magazines. Teds love life was covered by the national newspapers, he had a fan club, and all of his albums were certificated gold and sold well in the rest of Scandinavia. Aside from Bjorn, Benny, Agnetha and Anni-Frid (ABBA), he was Polar Musics best selling artist. In early 1979, Ted and his brother had a fourth attempt at Melodifestivalen and won with the song «Satellit.» After having competed four times in the pre-selection before winning and with his personal connection to ABBA, hopes and expectations were high. The song scored eight points and finished seventeenth out of nineteen participating entries, making it Sweden`s then-second-lowest placing in the contest. The Swedish-language single became a Top 10 hit back home in Sweden and «Satellit» is regarded as one of Ted`s signature tunes. People still love Ted and his hit «Satellit.» The second-lowest placing in the European song contest. Ted is still a popular artist and many fans are missing him. Can you belive that a man like Ted jumped in front of a train? Something really strange happened to Ted, but what in the world happened? Having left the music-business, Gardeatad made a brief and unsuccessful attempt at acting and shortly thereafter began exploring meditation and Eastern religions. Ted became involved with the Bhagwan Shree Rajneesh (Osho) movement and publicly renounced his earlier life. In an interview with Swedish newspaper Aftonbladet in mid-1983, he said he no longer wanted to be addressed as «Ted Gardestad,». His name was now Swami Sangit Upsani. Like all Bhagwan disciples, he wore clothes in a specific shade of orange. He distanced himself from his friends in the music business and his family as his involvement in the movement gradually took over his life, affecting his personality. In June 1983, one month before his second child with actress Ann Zacharias was born, he unexpectedly left his evasion, embezzlement of his disciplesfunds and bioterror attach on the citizens of The Dalles and subsequently deported from the US, Teds family persuaded his to move back to Sweden. His severe mental health problems became increasingly apparent. At that moment, something interesting is happening to Ted Gardestad, and MSM (Mainstream Media) are involved. Ted Gardestad was wrongly mentioned in the Swedish media as «the 33-year-old,» a suspect in the investigation of the assassination, which severely affected him. But there was one big problem with this theory: Ted Gardestad was on a vacation in Greece at the time of the murder. The speculations and rumours followed him and his family for the rest of the 1980`s. In other words; it was FAKE NEWS! But it didn`t stop here. A few years later, he was again the subject of rumours accusing him of being Lasermannen, a bank robber and serial killer. Can you belive that? A man who made music and made people happy was accused of being a bank robber. This is unbelievable. MSM could have stopped all this FAKE NEWS, but they didn`t, and the rumours affected the sensitive and already unstable former star, and Ted withdrew and fell into a deep depression. He came back and he toured extensively all through 1994, 1995 and 1996, but on 22 June 1997, at the age of 41, Ted Garedestad committed suicide by jumping in front of a train. The only colleagues from his musical career to attend his funeral were Schaffer, J:son Lindh, Tretow, Barbro Lill-Babssvensson and Agnetha Faltskog (ABBA). After Ted Gardestads death, his brother Kenneth Garedestad spoke to the press and in a book about Gardestads mental health problems during the last decade of his life. In the biography Jag vill ha en egen mane, published eight years after his brother`s death, Kenneth said Ted had suffered anxiety since his late teens and had become convinced that as an adult Ted has suffered from paranoid schizophrenia, which he thought had been aggravated by his time with the Bhagwan movement, the press coverage and the subsequent public persecution following the murder of Olof Palme and the Laserman case. «You know that it`s your pal Ted Gardestad who murdered Olof Palme, don`t you? Schaffer immediately left the dinner party. In the biography, Kenneth Gardestad also said Ted`s condition was never properly diagnosed during his lifetime and he did not receive the medical or psychotherapeutic treatment that could have saved his life. The strategy is to drive people crazy and this is the worst form for Gang Stalking, and MSM is the main tool. They could have stopped the rumours but they didn`t. The were driving him crazy. They want Targeted Individuals to belive that everybody are against them. They also set family and friends up against them. They do everything to discredit them. Research tells us that there exists a sizable community of people around the world who sincerely believe that an organized group, typically comprised of government or law enforcement officials, has banded together to purposely and deliberately cause them physical and psychological harm. The New York Times conservatively estimates that there are at least 10,000 people active in the gang stalking community, but a review of additional relevant materials suggests that the actual number could be much higher. In retaliation, for the perception of their being the victims of gang stalking, some individuals have reacted with extreme violence and have committed or have attempted to commit mass murder. Research tells us that Targeted individuals had become convinced that they were targeted individuals and as such the victims of a gang of people, who were systematically attempting to hurt them or kill them. A YouTube keyword search of the term gang-stalking generates nearly 700,000 hits. They have been informative in understanding the nature of those who are convinced that they are victims of gang-stalking. For instance, one woman featured in the film wore an aluminium foil hat and lived in a storage unit to protect herself from radio and TV-type waves. It appeared that her belief of being a Targeted Individual caused her significant distress and degraded the quality of her life. Ted`s brother Kenneth Gardestad said in an interview on a Swedish Television that Ted heard voices in his head. He said it was not voices coming from his own head but from outside his head. This is similar to the man who murdered Anna Lindh. She was a Swedish Social Democratic politician and chairman of the Social Democratic Youth League from 1984 to 1990 and member of parliament. She died 9/11, 2003 after a knife attach in Stockholm. She was attached while shopping in a shopping mall in central Stockholm. She was stabbed in the chest, abdomen and arms. Anna Lindh was killed by Mijailo Mijailovic which is born in Sweden to Serb parents. Lindh was an outspoken campaigner for Sweden to join the Euro zone in the referendum held only three days after her death. Despite speculation that sympathy for Lindh could influence the voting, the euro was rejected in the referendum. 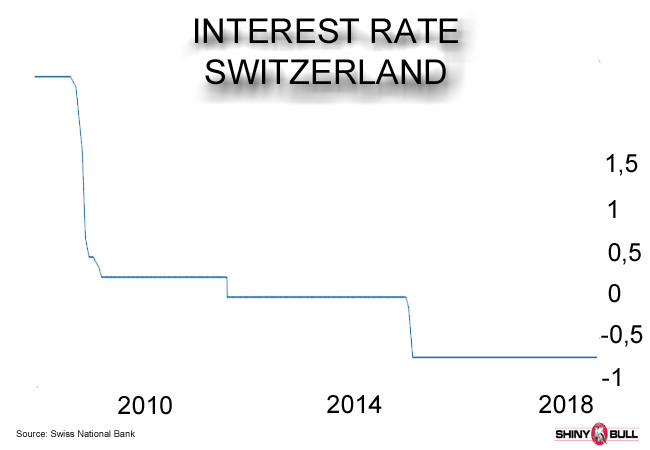 Sweden didn`t join the European currency. Mijailovic heard voices in his head. Just like Ted Gardestad. Both from Sweden. It is well documented that the military and the federal government have been dabbling in mind control and manipulation experimentation for decades. Magnus Olsson is one of the victims. He said; Very few people are aware of the actual link between neuroscience, cybernetics, artificial intelligence, neuro-chips, transhumanism, the science cyborg, robotics, somatic surveillance, behavioral control, the thought police and human enhancement. They all co hand in hand, he said. Magnus Olsson was a successful businessman, but these nano-implant technology has destroyed every aspect of his life, while those who are responsible are hiding behind psychiatric diagnoses. Sweden has a leading role in the development of this new technology, which also has a military dimension. NSA, Great Britain and 17 Norwegian heart specialists are working with this case. CIA begun the research as early as the 1950s, and DARPA is Pentagons research arm of the military. we dont really have any choice, were not really having a free will of for that matter any consistent personality. This would be enough reason to change humans to whatever someone else wishes. For example, an elite. Implantable microchips that can «talk» directly to the brain would give a tyrannical government the ultimate form of control. This kind of technology has the potential to be one of the greatest threats to liberty and freedom in the history of mankind. This is not Science-fiction. This is real-life Matrix. Sweden is one of the biggest music exporter, and Denniz Pop is the main reason for that. Denniz Pop made hit after hit after hit, but suddenly it all stopped in 1998. Tragically he left us all very early in August 30, 1998 after less than a year of struggle against his stomach cancer. Denniz Pop`s real name is Dag Krister Volle and his nickname was Dagge. He was born on 26 April 1963 to the Norwegian immigrants Jarl Gregar Volle and Anna Volle (neè Innsto). Much people around the world doesnt know who Denniz Pop is. They have never heard of him, but thats how he liked it. He didn`t want to stand in the spotlight, and very few in Main Stream Media wrote about him. He started his career as a DJ in the early 80s in Stockholm and he quickly became one of the most well-known DJs in the Stockholm dance scene, and he was a great inspiration to many new DJ`s and to some he was probably THE reason they wanted to become a DJ. People wanted to do all these great things that Denniz Pop was doing, Another famous Swedish DJ was Robert Watz, who is one half of the successful RobnRaz. He said Denniz Pop was the inspiration and the best disc jockey in Sweden! In 1985, Denniz Pop and Robert Watz came up with the idea of creating a remix service like DMC (Disco Mix Club), and a year later they started SweMix which was founded by Denniz Pop, Renè Hedemyr (Remixer of Roxette), Stonebridge (the man behind Robin S and Show me love), Emil Hellman (Army of Lovers), Rob Below and JJ. Denniz Pop fast became one of Swedens most wanted remixers. He always had this ear for how things should sound to be perfect and in his remixes he could put in a small sample of another record. As a former DJ I can remember his remix of Michael Jacksons Billy Jean, which he used time stretching. 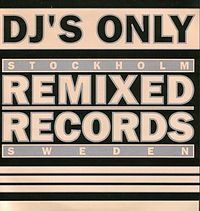 In 1989 SweMix started to sign own artists and the company was divided into SweMix Records & Publishing and SweMix Productions. Dr Alban was one of the first artist to be signed and his debut single «Hello Africa» became a worldwide hit. Dr Alban and Denniz Pop became famous all over the world and there is no doubt that it is because of Denniz Pop. He knew how it should sound like. Now, they started to earn a lot of money. About 50% of the income went to SweMix and the rest of the crew who were just sitting there drinking coffee. That wasn`t fair. Denniz Pop didnt like that, so in 1992, SweMix splits up when Denniz Pop and Tom Talomaa startes their own record label called Cheiron. This is were things really starts to be big. Really big. Denniz Pop produced Dr Albans second album called «It`s my life». The song «It`s my life» became a MegaHit. So was it for “No Coke”, “One love” and “Sing Hallelujah”, and Denniz Pop became a big name in the business and got lots of offers to produce and write music for other artists. A year later he produced Ace of Base and made the song «All that she wants». It doesnt stop here. A year later he produced hits after hits for E-Type and Leila K. Later on, he made MegaHits for Backstreet Boys. He made a hit for Robyn, Papa Dee, Army of Lovers, Rednex, Real McCoy and Michael Jackosons nephews 3T album, while he also worked with Michael Jackson in the studio. In 1998 he receives his first Grammy award (Swedish Music Industry Award). He got the jury`s special Honor Award, for all his great work and successes which placed Swedish Dance Music on the world map and have made Sweden the Third largest music exporting country in the world, after U.S and U.K.
Denniz Pop got the information in December 1997 that he had cancer and he was operated just weeks later. He was quite well until July 1998 when he very fast got worse and sadly past away on Sunday August 30, 1998. Thats excatly one year after Princess Dianas death. It’s nice to hear how Max Martin keeps Denniz Pops memory and their special sound alive in worldwide hits. He made Britney Spears «Baby one more time» and during the 1999 MTV European Music Awards, Britney dedicated that award to the loving memories of Denniz Pop. «Denniz Pop; Sweden has during the past 25 years positioned itself as the world`s leadin country for pop music along with the US and Britain. A large part of this development can be traced to one single person; Dag «Denniz Pop» Volle (1963-1998) from Botkyrka Municipality. Denniz Pop was a record store clerk and disc jockey who transferred his youths intensive music listening (what makes certain songs catch?) and dance floor studies in the field (what makes people dance?) to, without playing any instrument, start creating his own music with the help of initially record players and then computers. It is also nice to see that in 2013, Denniz Pop Awards was founded and it`s run by former Cheiron members, co-workers, friends and family with the goal of helping new songwriters, producers and artists continue the legacy Denniz Pop once started. Every year the Award is given to aspiring talents in the music industry. Notable winners include Swedish House Mafia and Avicii. Avicii is another young Swedish DJ and producer who passed away on Friday last week. Denniz Pop was 35 and Avicii was only 28 years old. Two great DJ`s. Two great producers. Both from Stockholm. Both had big success, and both of them got stomach problems that stopped their work. I will write more about Avicii (Tim Bergling) later on. On August 30, 2018, it is 20 year since Denniz Pop past away. I really hope former SweMix and Cheiron members along with others in the Swedish Music Industry can find a moment this year to honor Denniz Pop.